Become a Functional Medicine Nutritionist (FMN)! Registration For Winter Courses Now Open! NLFN Members receive 10% off all online training. Ask about our special student/intern and group pricing. Budget friendly payment plans available – Course Listings Here! Integrative and Functional Nutrition is a specialty not taught in the traditional dietetics curriculum. It’s up to you to advance your skills by getting this career-changing training so you can best meet your patients’ growing needs, compete in the marketplace and provide the most comprehensive patient care. With a solid foundation in Functional Nutrition you’ll gain more confidence and establish yourself as a cutting edge expert. And in today’s competitive world that means more earning potential. In specialty IFMNT certificate of training programs you’ll learn more, have more successes, gain more respect from doctors, and experience more successful patient outcomes now, that’s what we all want! This comprehensive program is developed specifically for healthcare professionals using nutrition in their practice or as their primary practice. With 20 years of training and experience with some of the top names in Functional Medicine, Susan Allen-Evenson RDN, CCN can help you get up to speed. With three levels of convenient on-line training, you’ll save critical time and travel costs when compared to attending on-site seminars, workshops, and conferences. This program works for anyone’s schedule since all sessions are recorded. You’ll receive mountains of handouts and customizable forms to overflow your toolbox. What’s unique about this program is its live discussion and private group networking platforms which allows for sharing amongst other forward-thinking colleagues. It’s a place to bounce off ideas, find additional resources, and post specific questions pertaining to patient cases or in general about nutrition specific issues. Plus, 12-45 pre-approved CEUs are offered through the Commission on Dietetic Registration for RDNs! Others may be able to apply learning credit as well. Affordable payment plans fit anyone’s budget. Group discounts are offered as well. Certificate of Training optional with added final exam. CEs awarded regardless. Those earning a Certificate of Training are automatically listed in our IFMNT Practitioner Referral Directory. Level 2 and up graduates are enrolled in our private membership certification community – an excellent way to stay connected and up to date! 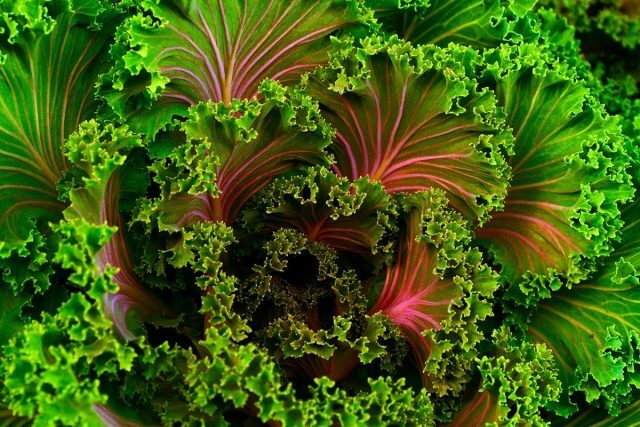 Toxicity/Detoxification/Cleansing: What, when, and why – Nutrition’s vital role! Nutrigenomics: (like MTHFR): unravel the mystery and bring your practice into the 21st century! Other specialty subjects like mind-body, autoimmune, Integrative Cancer care, and more! With your Certificate of Training you’ll be listed in the graduate practitioner directory – great referral potential! Graduates of Level 2 and up receive private membership into our certification community – stay connected and continually network with your peers! These days, there is so much information available about alternative healing modalities including supplements/herbs, nutrition, fitness, alternative/functional medicine, mind-body practices, etc. It’s hard to sift through it all and know what to trust or how to use in practice. Next Level Functional Nutrition offers you reliable research and clinical experience based information and training that will help you stay on the leading edge of your profession and, more importantly, empower you to more fully and effectively serve the clients you work with. Our program is suited to Registered Dietitians and Professional Nutritionists, along with any other credentialed health care clinicians who wish to add a nutrition focus to their practice, such as: MDs, DOs, RNPs, RNs, DCs, DOMs, etc. Due to the heavy emphasis on clinical application of our training, registration is limited to licensed or professional healthcare workers (as noted above) who have at least a 4-year undergraduate or a 2-year masters, science-based degree. Click here to learn more about our courses. Click here to learn more about Culinary for IMFNT. 1. Not just fact-sharing/book-learning – actual mentoring. Continuity of training is ensured with one main instructor. Expert guest instructors round out the learning. 2. All webinars also recorded to allow for review at your leisure. All you need is internet to connect, it’s that easy! 3. Robust PowerPoint presentation slides provided (literally thousands of slides!) – and, so much more than you learned in school! 4. Ability to ask questions/interact in session just as content is delivered – the most practical and applicable way to learn! 3. A host of unparalleled food and nutrition-centric solutions, with a heavy emphasis on personalization to each patient based on their genomic blueprint. 2. Private membership community available for course graduates to continue to share and network. All totaled, our programs offer 240 pre-approved CPEs! So economically priced for all you get! This training is different! Not just “book learning” but solid mentoring the whole way. Learn from Susan’s vast experiences and her “stories from the trenches”. You won’t just learn the “what”, you’ll learn the “how” as Susan shares her personal strategies for success. Real cases display the IFMNT process and ensure your learning is transformed into practical know-how! Tons of evidence-based learning. Handouts galore! Customizable forms to use in practice. Expert guest presenters join Susan to offer THE most comprehensive IFMNT training now offering over 150 CPEs pre-approved by the Commission on Dietetic registration! Small class size ensures personalization of learning – you won’t get lost in the crowd. Mostly live webinar format engages the learner and offers the highest level of participant interaction/engagement. What are you waiting for? The time is now! Time to become part of the fast- changing holistic healthcare movement! Time to transform your practice and make a real difference! A year from now, you will wish you had started today – REGISTER NOW! Free Webinar – Opportunities and Challenges Using Hemp-CBD in Practice – Recording Access Now Available! 2017 webinars archive available to Gold and Platinum NLFN Members! 25 years of clinical experience in Functional Nutrition, over a decade as a private mentor and now 5 years leading on-line group training. NEW – Certificate of Training in IFMNT featuring special expert guest presenters and an emphasis on nutritional genomics! Enthralled with my success and career growth using IFMNT, I realized I just had to share this with my peers. This vision is what birthed my own mentor program almost 20 years ago, which eventually grew into the international training initiative Next Level Functional Nutrition, where noted experts join me in influencing thousands to incorporate IFMNT into practice. My mission is to see nutrition considered the very cornerstone of health and to have my colleagues experience no less than the level of respect and success they so deserve, yet often struggle to have. I truly believe IFMNT is the key! I am proud to be considered one of the pioneers in our global healthcare transformation. Join me on this amazing journey and see for yourself how much more you can grow and make a difference yourself! No Time To Commit To Series Training Right Now? 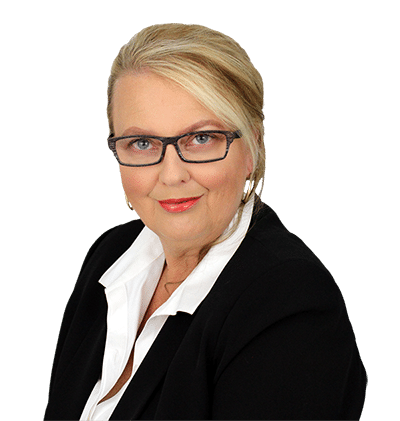 Private mentoring/coaching sessions available with Susan Allen-Evenson RDN, CCN – perfect for career advice or to help with your most challenging cases. Contact us for more details. YES, I WANT PRIVATE MENTORING! Sign up and stay on top of the latest information! Enter your name and email below and be the first to get the latest news, trends, promotional offers and much more! Please provide consent so that we may email you. Yes, I want to start receiving emails from Next Level Functional Nutrition. Please watch for an email from us! You may need to check your spam, trash or junk folders! We need you to "confirm" your email address. You can do this by clicking the link provided in the email we have sent to you. Time to expand and grow. Time to meet the growing needs of your patients. Time for the turning point in your career! Let us know if you are interested in getting a discount off the IHS attendance fees! IHS will contact you directly at the email address you provide with the discount details. You will receive an email from the IHS with your discount details.